We have started a campaign of writing to companies and other organisations that have parked illegally. Why not join in? Many companies give an email address on their website. It is best to write to the chief executive. Feel free to copy the letter to us at wirralpedestrians[at]gmail.com . Below is the standard text that we suggest for use in an email letter, or download a .doc version from here. 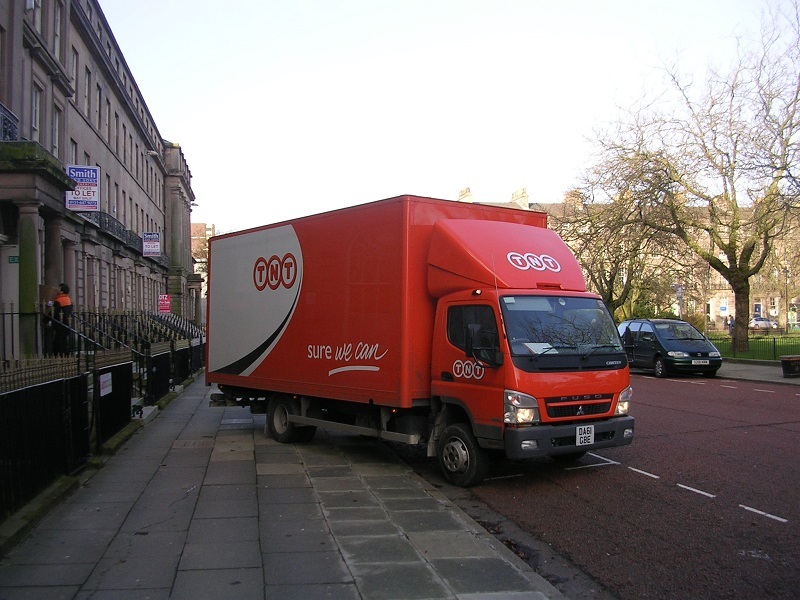 We am writing to you because one of your [Company's / Organisation's] vehicles was recently seen parked illegally on a pavement in [Location] on [Date] at [Time] (vehicle registration number: [Registration]). Following the recent death of a 4-year-old girl when a Transit van was driven on to a pavement to park for unloading, we feel strongly that [companies / organisations] such as yours should comply with the law and park on pavements only where signs permit it or in an emergency. 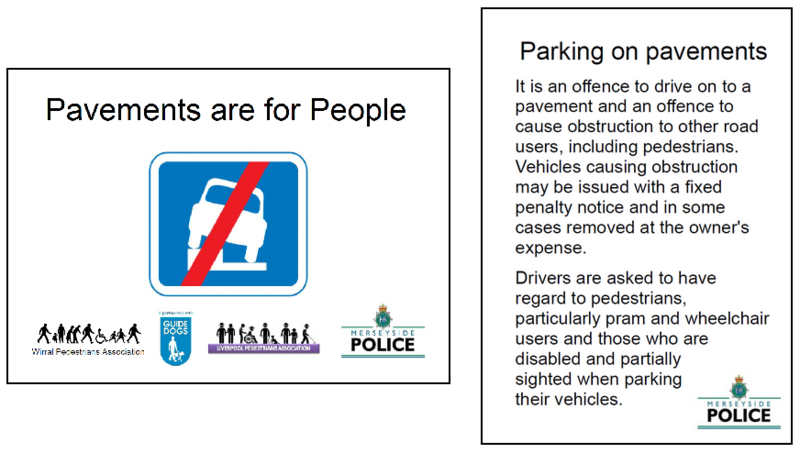 Parking on pavements is not only dangerous, but also damages pavements (as they have not been constructed to take the weight of motor vehicles), can obstruct pedestrians (this is a major problems for those with visual impairment and other disabilities), and is intimidating for children and for vulnerable adults. The RNIB, Guide Dogs, Leonard Cheshire Disability, and other groups are campaigning for effective action to stop the practice. (c) excerpts from the newspaper report of the child's death. These could be used in educating your employees. TNT apologised and acted after our email to the TNT Managing Director. 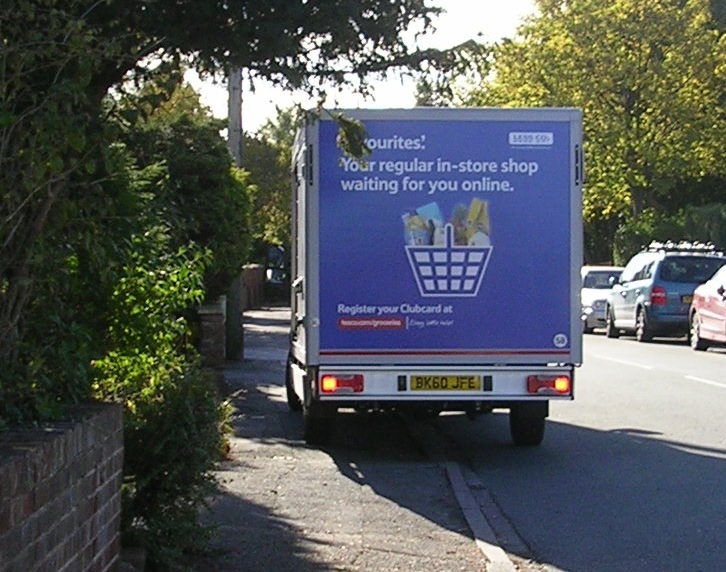 Tesco agreed that driver retraining was needed after our email to the Tesco headquarters. Moya Greene, CEO of Royal Mail, has agreed to stop Royal Mail vans parking on pavements after our letter to her. See our letter to her.